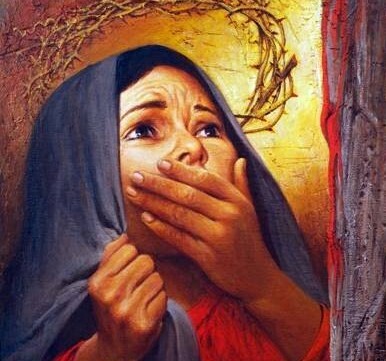 When we think about what God allowed to happen to his son, we have to think about Mary, Jesus’s mother. Her entire life was a journey of faith in her son from birth to death. A life of surrender and total unwavering commitment. But this did not mean her sorrows were slight. On the contrary, they were profound. As mothers, we know the agony we feel when our children are hurt or in danger. Mary was a mother. Her agony was real. And yet, in faith, she never turned from it. She was there.